Blueprint: As the summer rapidly approaches, singjay Chino McGregor continues to go full-force with his catalogue of hits. His recent addition to the hit roster, Miss Universe, on producer, Stephen "Di Genius" McGregor's Bassline Riddim has been doing exceptionally well since its release a few weeks ago. 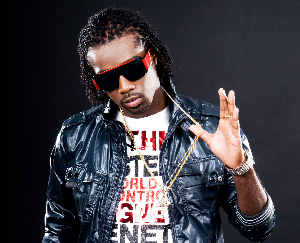 In a previous article published in the Saturday, June 2, 2012 edition of The STAR, Chino had spoken about his inspiration for the single, his other half, Yendi Phillips, "The inspiration behind the song Miss Universe is quite obvious. It wasn't written, so to speak. I had the basic idea or concept and structure in my head prior to recording it, so recording time took approximately 30-45 minutes. There will definitely be a video shot very soon for Miss Universe as well as a follow-up single, entitled Be Around." In addition, Chino will be releasing his third Japan album this summer, which will feature a number of previously released singles in addition to exclusive tracks. One such single will be the Seal Di Link remix featuring Japanese singer, Akane, he original version of the monster hit Seal Di Link was featured on Chino's debut US album, Chino, and sold in excess of 150, 000 during its first week; while his sophomore Japan album, Never Change, held the second spot on the Japan iTunes Reggae chart for a number of weeks. He says, "There's a lot in store for this summer. Lots of singles, the album, tours to a number of markets ranging from the US, to Europe and Japan. So right now I'm putting in the work so I have a wide array of songs for the fans from each market." Chino is known for his inventory of hit singles, namely, From Mawning, Ruff It Up, Protected,Yeah Yeah, Driving Me Insane, Seal Di Link and more.